Share your skills and business with other neighborhood entrepreneurs. 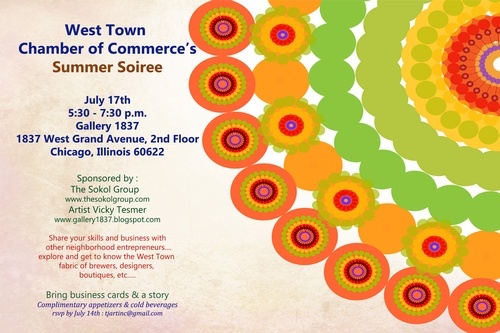 Explore and get to know the West Town fabric of brewers, designers, boutiques, etc. Member Mixers are a way for prospective, new, and veteran Chamber members to get together, shake some hands, talk about their business, and learn how Chamber membership benefits businesses and the community alike. Everyone is invited to this no-program event and there is no charge to attend – we are at the courtesy of our host. Tuesday, July 17th, 2018 from 5:30-7:30p.m.